Alpinism and mountaineering are fully aware of technological development. New materials, mobiles, radio, cartography integrated in GPS have facilitated communication and orientation in mountain activities and have improved safety conditions. Besides, the increases in roads and infrastructures in mountain areas allow easy access to territories previously remote and inaccessibles. However, these facilities also involve the loss of the wild character of summits and, as a result, mountaineering activities lose some of their inherent character because the adventure concept actually disappears. Today adventure, a human need, has become a luxury that is increasingly difficult to achieve. Nevertheless spirit of adventure has been one of the driving forces of history, favouring exploration to remote territories and access to the most difficult summits. Risk, an inherent characteristic of adventure, must be controlled and assumed. The means for minimizing risk can be both technological and human. Without ruling out the former, we want to take a bet on the latter: technical, physical and psychological skills, as well as good sense and solidarity. This initiative does not aim in any way to deny the use of technology in mountaineering; it simply aims to propose a new experience with another way of experiencing mountains. The recovery of the spirit of adventure in mountaineering practice. To experience controlled risk, without using technology for orientation and navigation and without previous knowledge of the area. 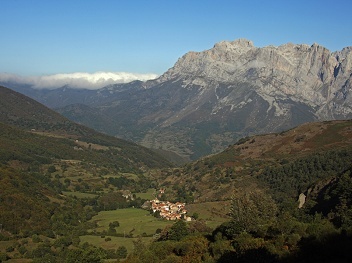 Claim for a mountain free of infrastructures. Date: 2nd fortnight of July (5-6 days). 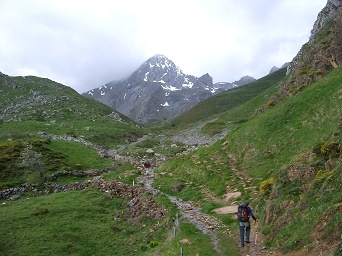 The route will be across the pass using natural access with two conditions: it must be the easiest possible way (no summit) and must have the least amount of infrastructure as possible (no roads). We will go in small groups (3-4 people). Navigation will be “on sight” in north direction to the coast. Maps, GPS, mobiles, walky-talkies or altimeters will not be used. Only magnetic compass will be used to give north. We will be autonomous, sleeping in bivouacs or lightweight tents. The management of the traverse will be collective with the participation of all members of the group in decision-making. As a consequence, there will not be any leaders. The above will also be an experience in cooperation and democratic participation. Resistance and adaptation to adversity. Solidarity, mutual support and team spirit. If you are interested in taking part in this experience please contact us.